We hold English Classes 6 times a week here at Penson Street Community Centre on the times listed below. We also now do outreach work at Tyldesley Children’s Sure Start Centre on Thursday afternoons. If you would like to get involved please get in touch. Our lessons on Mondays and Wednesdays are conversation classes. These are volunteer run classes, based around topics that help our clients settle into their new lives and communities in Wigan. 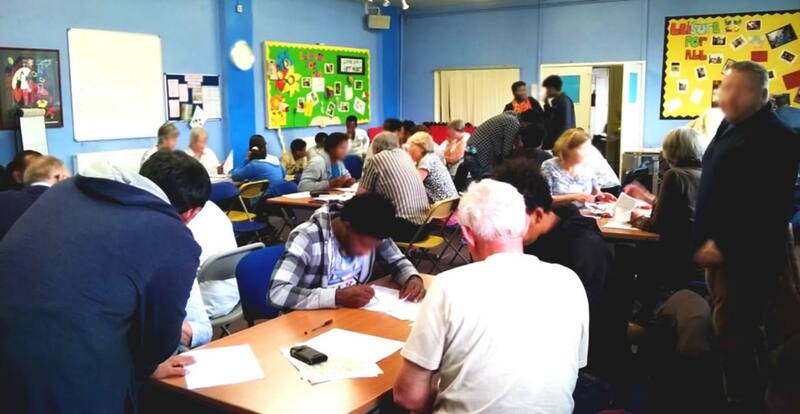 Our lessons on Tuesdays and Thursdays are run by ESOL tutors in a traditional class room setting. We now run English conversation classes at Tyldesley Children’s Sure Start Centre every Thursday from 1:30 – 3:00. These are run in the same manner as the Monday and Wednesday classes on Penson Street. Please see the map for location or get in touch via telephone or email for more information.